Following the decision of an Employment Relations Authority judge, up to 35,000 home care workers could see a change in the way they are paid. 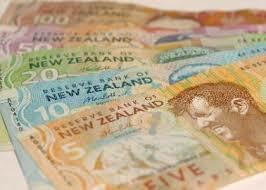 An Employment Court decision could mean a big pay day for 35,000 New Zealand workers. In Wellington’s Employment Court last week, the Service and Food Workers Union won a case against the Ministry of Health and Capital & Coast District Health Board over the pay of one of its employees. Jane Lowe was being paid a “subsidy” of $75 for a 24 hour shift – ultimately leaving her with just over $3 pay per hour. The judge’s ruling means that Lowe is now eligible to receive the minimum wage plus holiday pay. John Ryall, the union’s secretary, said the case is exemplary for 35,000 other home care relief workers who are typically paid in “subsidies”. He added that the court had asked the union to come back in a month to discuss how the change in pay should be implemented. A case on behalf of the thousands of other workers the change might affect is yet to be filed, but there are plans to do so. Ryall said that the issue of back-pay for Lowe and the other workers will also be addressed. The back pay could be “quite large”, Ryall said. Judge Bruce Corkill said in the legal documents that the Ministry of Health and health board had argued against claims that Lowe was a home worker – the ERA had previously argued that she was not. However, Corkill found that although Lowe referred to herself as a “friend” of her clients, “she did not provide these services only as a friend” and was indeed a homeworker. “[Lowe] provided a service to the Ministry and C&CDHB required to be undertaken so that their responsibilities could be met,” the judge ruled. He said that all parties involved should resolve pay issues directly, but would be able to file for court help if this was unsuccessful. The Ministry of Health’s chief legal advisor Phil Knipe said that the Ministry was considering the judge’s decision and working with legal advisors regarding its next steps. A spokesman for the health board said that it was complying with Ministry of Health guidelines in relation to carer support.